Metro delivers a clean, geometric form with a pleasing balance of angular metal fittings and a crisp linen shade. The stately fixture adds a modern accent with an elegant sense of architectural distinction. Purist 1-Light Polished Chrome Led Sconce The minimalist design of Purist faucets and accessories complements both traditional and contemporary bath environments. Featuring an integrated LED night-light in its base, this wall sconce provides two forms of soft lighting and echoes the elegant simplicity of the Purist Collection. Available in an array of KOHLER finishes to match any bathroom decor. 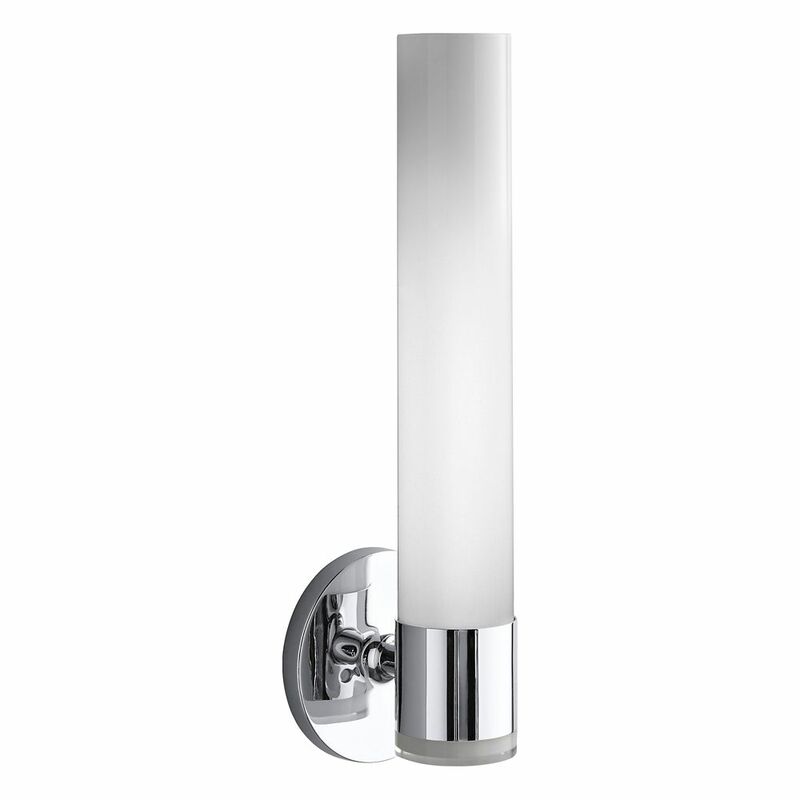 Purist 1-Light Polished Chrome Led Sconce is rated 5.0 out of 5 by 1. Rated 5 out of 5 by LionelTrain from Nice looking; but, expensive and instructions are poorly described by Kohler The Installation and Care Guide does not mention the base type for this bulb and the bulb is not available at Home Depot. For simplicity, Kohler should include the bulb. The Kohler instructions say that the night light must be wired directly to power; whereas, the marketing material states that the night light can be "wired to its own switch." This is very confusing as there is no mention anywhere that the night light is actually controlled by a photo electric cell. Thus, when my electrician installed the fixture he spent considerable time troubleshooting why the night night was not working.